Czar-Doon was recently exposed to the Black Vortex, a Celestial ancient artefact that imbued him with immeasurable power. Enhanced Abilities: Czar-Doon has vast super human strength, endurance and durability. Invulnerability: Czar-Doon has a high degree of resistance to physical and energy attacks. Flight: Czar-Doon is able to fly. Life Support: Czar-Doon is able to survive the rigours of space. Energy Sword: Czar-Doon carries an energy sword. 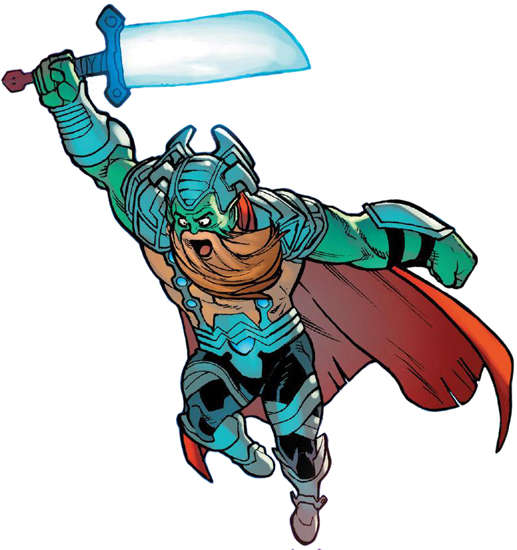 Czar-Doon is a Badoon who formed the Slaughter Squad, with an exiled Centaurian, a Shi'ar hunter, a Skrull, a Snark and a priest from Planet X. The Slaughter Squad are a group of brigands and thieves who serve as Mister Knife's personal crew.